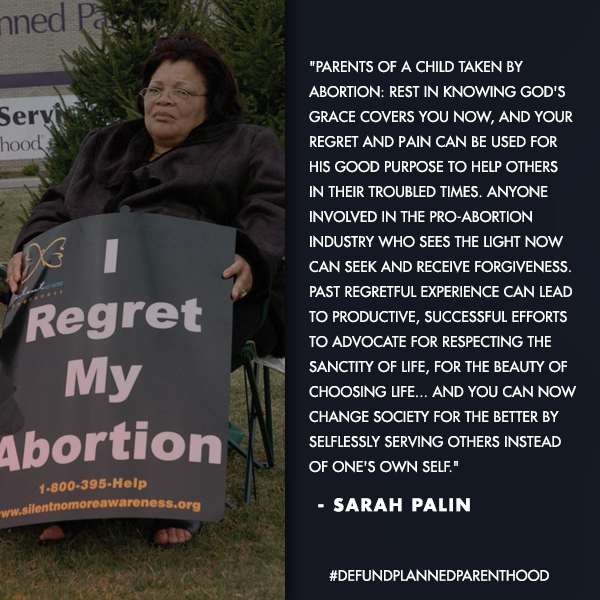 Planned Parenthood – Len Bilén's blog, a blog about faith, politics and the environment. From Sweden come the trolls, They are climate feminists, cold. A limerick. From Sweden with love came the troll. They must live in darkness, their goal. dark and cold, way to go. They’re feminists, that plaid a role. Trolls are very special creatures. They live in the deep forests of Sweden, do a lot of mischief, come out at night and you can see them in the dim moonlight of the most dense woods, but at the crack of dawn they disappear. No one have seen them by day. 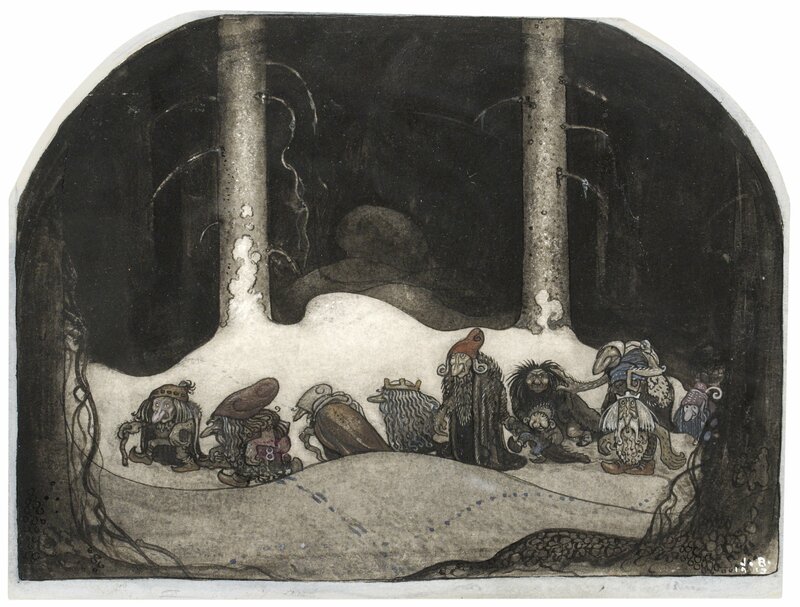 But for a true image, take a look at the John Bauer paintings. He must have seen them clearly. 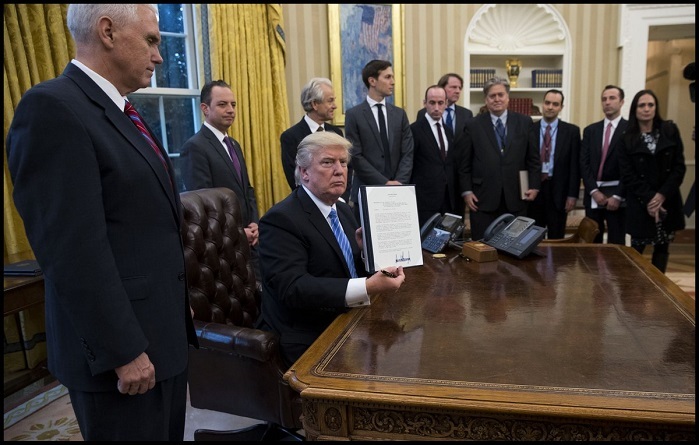 The newly elected U.S. President Donald Trump went on a signing spree, signing several executive orders the first days of his presidency. 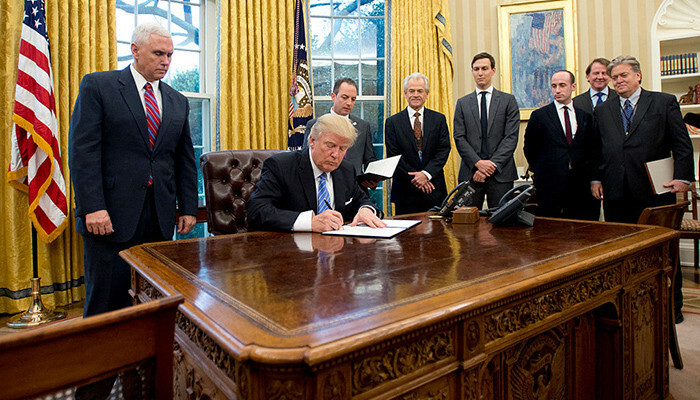 One of them was to deny tax funds to international organizations that promote abortions. This didn’t sit well with the Swedes, so they took notice. Sweden is a very egalitarian society , so naturally the government cabinet since many years must consist of 12 men and 12 women. It is now a very weak coalition between the Social Democrats and the Greens, and they have less than 40% support in the uni-parliament. The Sweden Democrats have 14% of the seats, but all other parties refuse to have any dealings with them, even the opposition. Climate control is the holy grail however of Swedish politics, so they managed to get along well enough to sign a Climate Bill that promised “zero net CO2 emissions by 2045”. 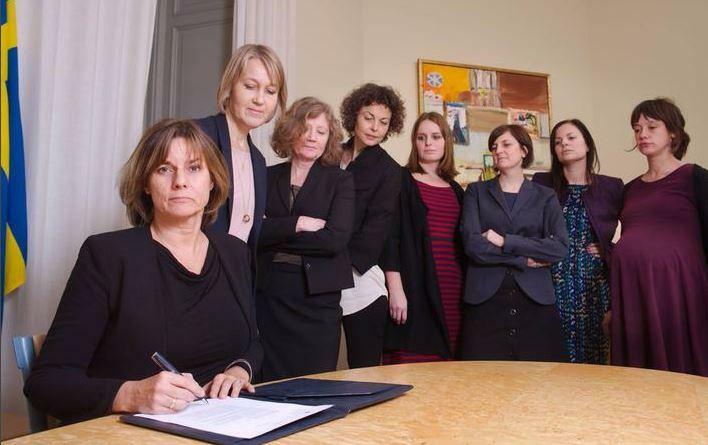 Isabella Lövin ‏@IsabellaLovin 17h17 hours ago Just signed referral of Swedish #climate law, binding all future governments to net zero emissions by 2045. For a safer and better future. A remarkable response to a tweet from Sweden. She also claimed “We are a feminist government”. Well, if zero CO2 emissions is feminism I remain cold. Not even candlelight for Valentine! “The position we hear from the new administration is worrying” Stefan Löfven told The Associated Press after announcing an ambitious new climate law promising zero net greenhouse gas emissions by 2045 and a 70-percent cut to emissions in the domestic transport sector by 2030. The new Swedish law sets long-term goals for greenhouse gas reductions and will be legally binding for future administrations. Lovin said Sweden wanted to set an example at a time when “climate skeptics (are) really gaining power in the world again,” and felt encouraged by pledges by China and India to fulfill their commitments to the Paris Agreement. U.S. President Donald Trump, who has called climate change a Chinese hoax, has raised speculation that he might pull the U.S. out of the Paris Agreement. The new Swedish law enters into effect on Jan. 1, 2018. It was developed after agreement from seven out of the eight political parties in parliament. 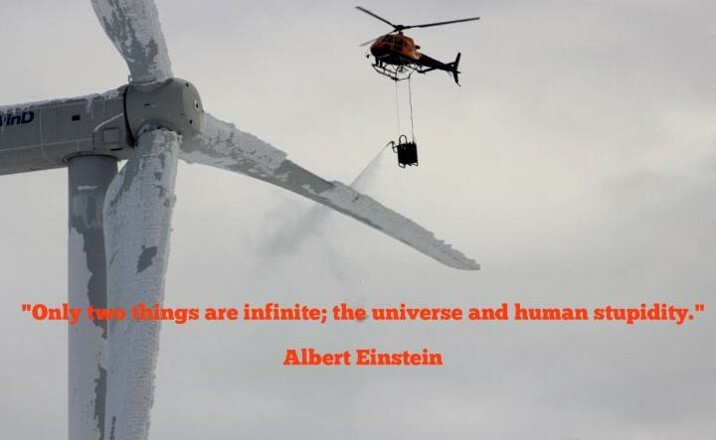 Posted on February 3, 2017 February 4, 2017 Categories climate, CO2, Donald Trump, energy, environment, limerick, Planned Parenthood, PoliticsTags Climate change, CO2, Donald Trump, feminism, Isabella Lövin, John Bauer, Limericks, politics, Sweden, trollLeave a comment on From Sweden come the trolls, They are climate feminists, cold. A limerick. Do black lives matter? One more verse to the Hillary Nursery Rhyme. The organization that has released ten videos exposing the scandal of Planned Parenthood selling aborted babies and their body parts has released an eleventh undercover video with another shocking discovery. This video catches the nation’s biggest abortion business planning to sell the intact heads of aborted babies for research. This video release from The Center for Medical Progress in the ongoing Planned Parenthood baby parts scandal shows the abortion doctor for Planned Parenthood in Austin, Texas. Amna Dermish is caught on tape describing a partial-birth abortion procedure to terminate living, late-term unborn babies which she hopes will yield intact fetal heads for brain harvesting. 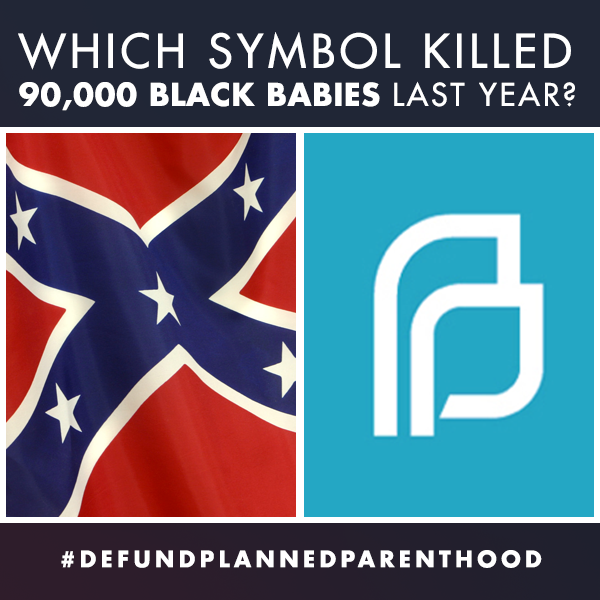 It is to be noted that 79% of Planned Parenthood’s surgical abortion facilities are located within walking distance of African American and/or Hispanic/Latino communities. Hillary, Hillary, do black lives matter? On a totally? unrelated matter, what is an American infidel woman in hijab doing the sign of the cross inside the Umayyad mosque during a tour in Damascus April 3, 2007? U.S. House Speaker Nancy Pelosi doing the sign of the cross at the tomb of John the Baptist containing only his head. 19 So Herodias nursed a grudge against John and wanted to kill him. But she was not able to, 20 because Herod feared John and protected him, knowing him to be a righteous and holy man. When Herod heard John, he was greatly puzzled[a]; yet he liked to listen to him. 21 Finally the opportune time came. On his birthday Herod gave a banquet for his high officials and military commanders and the leading men of Galilee. 22 When the daughter of[b] Herodias came in and danced, she pleased Herod and his dinner guests. 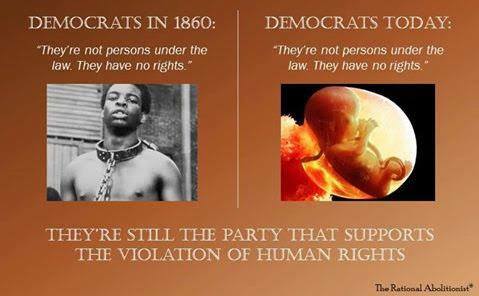 Posted on July 17, 2016 July 18, 2016 Categories Clinton, Planned Parenthood, songTags baby brains, Hillary Clinton, Nancy Pelosi, nursery rhyme, song, umayyad mosqueLeave a comment on Do black lives matter? One more verse to the Hillary Nursery Rhyme. Thought for the day. To vote or not to vote. The height of ignorance. The Israelites, after they entered the promised land were told by God not to have any rulers over them except God. But there must be order so they had judges. A few were good, among them Gideon and one woman, Deborah. The country had peace for forty years under their judgeship, but most of the judges were bad. It got so bad they cried out for a king. After a series of events which you can read about in 1 Samuel 8 thru 10 Saul, the tall one was chosen and appointed. We still tend to elect tall Presidents. To be tall seem to have its advantages, and according to evolutionary thought women tend to be attracted to tall men. Men also respect other tall men, since they are better at intimidating others. With a larger body comes a larger brain, and according to early evolutionary thought a larger brain means they are further along in evolutionary development than the rest of us. Evolutionary thought tend to enhance prejudices. One early thought was that since a man’s brain on average is 40% larger than that of a woman, this must be a good reason why women should not be allowed to vote. We now know it to be true, a man’s brain is larger, but a woman’s brain cells are smaller, meaning that the cells communicate faster with each other. While we men take our time to get our threshing machines of brains in gear, a woman’s brain acts like a bolt of lightning, coming up with a plan of action before we even have defined the parameters. They have usually gotten good training dealing with active two or three year olds. An argument could therefore be made a woman would make a better president, having to deal with petulant people like Congress. Choose carefully, look into each candidate’s positions on policy matters, check their character and convictions, then make your decision. It is the civil duty for every citizen over the age of 18 to cast a vote. Only let not height be your choice this year. Posted on February 1, 2016 February 1, 2016 Categories campaign, Congress, faith, Planned Parenthood, politics, thought for the day, votingTags Congress, evolution, faith, Hillary Clinton, Margaret Sanger, Planned Parenthood, thought for the day, votingLeave a comment on Thought for the day. To vote or not to vote. The height of ignorance. Verse 49 of the Obama Impeachment song. Planned Parenthood killing fields. I hate apple pie and motherhood. Posted on July 26, 2015 August 4, 2015 Categories eligibility, Obama, Planned Parenthood, Politics, Sarah PalinTags apple pie, LGBT, motherhood, Obama, Planned Parenthood, politics, Sarah Palin, song1 Comment on Verse 49 of the Obama Impeachment song. Planned Parenthood killing fields. Planned Parenthood Profits from peddling aborted body parts. A Limerick. No pictures, no comments, it hurts too much. Lord help us, when hearts are so cold! O.K Just one comment. 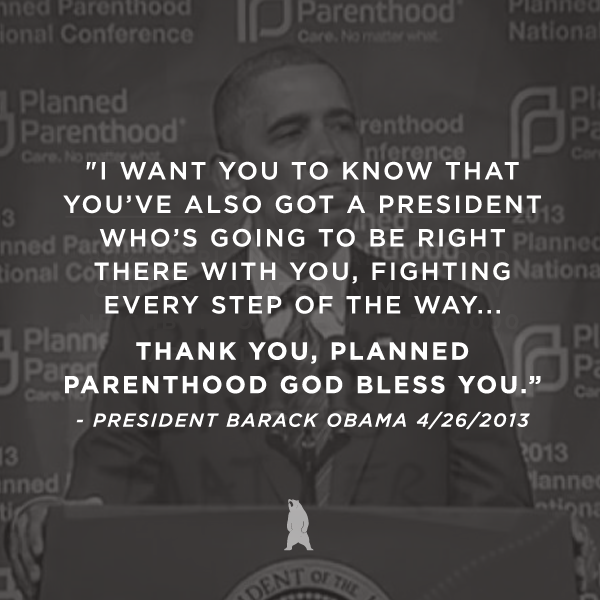 From Barack Obama on the same day the news of the Planned Parenthood merchandizing baby organs broke. Fetal Liver CD133+ Stem/Progenitor Cells (FL-CD133) are positively selected from homogenized liver tissue. First, fetal liver tissue is enzymatically digested and further processed to generate a leukocyte-rich suspension. CD133+ cells are then positively selected from the leukocyte-rich suspension using immunomagnetic anti-CD133 microbeads, leaving highly purified fetal liver CD133+ cells. 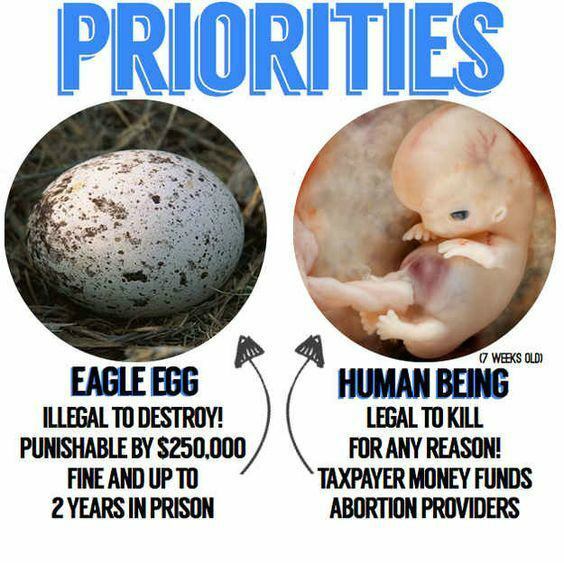 Posted on July 14, 2015 July 20, 2015 Categories Christian, faith, health care, life, limerick, Obama, Planned ParenthoodTags abortion, Christianity, Civilization, faith, life, Limericks, Planned Parenthood, President Obama2 Comments on Planned Parenthood Profits from peddling aborted body parts. A Limerick.